Our passion is promoting and protecting the interests of our clients. We are experienced brokers and can guide you through all the joys and challenges involved in buying and selling real estate. -Keep the client focused on their ultimate housing goal. -Help the client stay organized and informed. -Keep up with the myriad details and deadlines of a contract. -Be loyal to the client in all aspects of the transaction. -Follow client’s instructions in a timely manner. -Account for all monies handled on the client’s behalf. -Recommend service providers and professionals as needed. 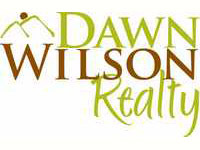 Dawn Wilson, owner and Broker in Charge, has lived in Black Mountain since 1992 and raised her children in this community. She earned a Masters of Entrepreneurship from Western Carolina University in 2005, which gives her tools to solve a wide range of problems encountered in a real estate transaction. She is knowledgeable, persistent and has an ample sense of humor. Our business model does not tie us to a brick and mortar office. We will meet you where you feel most comfortable: at your home, a local coffee shop, or our home offices. We have agents in Black Mountain and Asheville who can provide real estate services all over Western North Carolina. Angela O’Brien is an experienced and hard working agent that also handles rental properties. Her mobile is 828-216-1610.